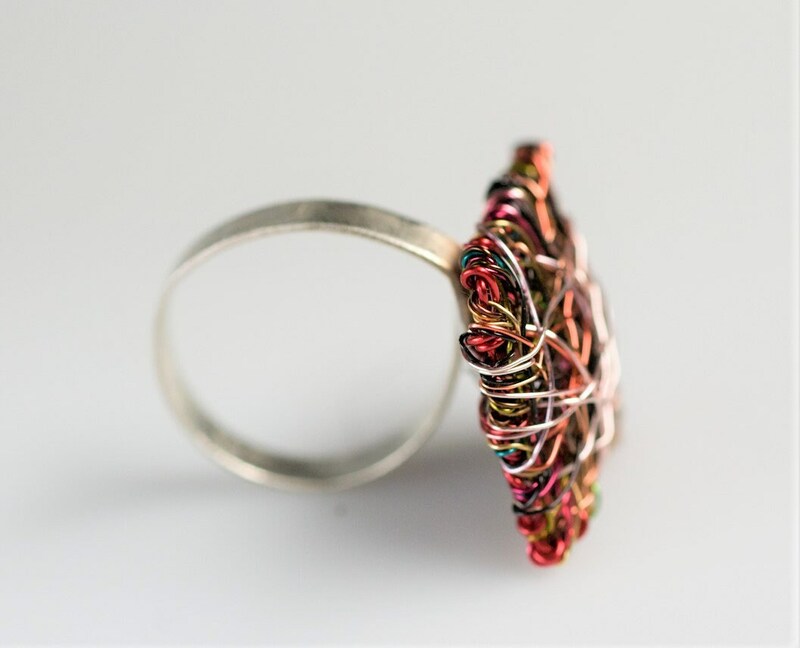 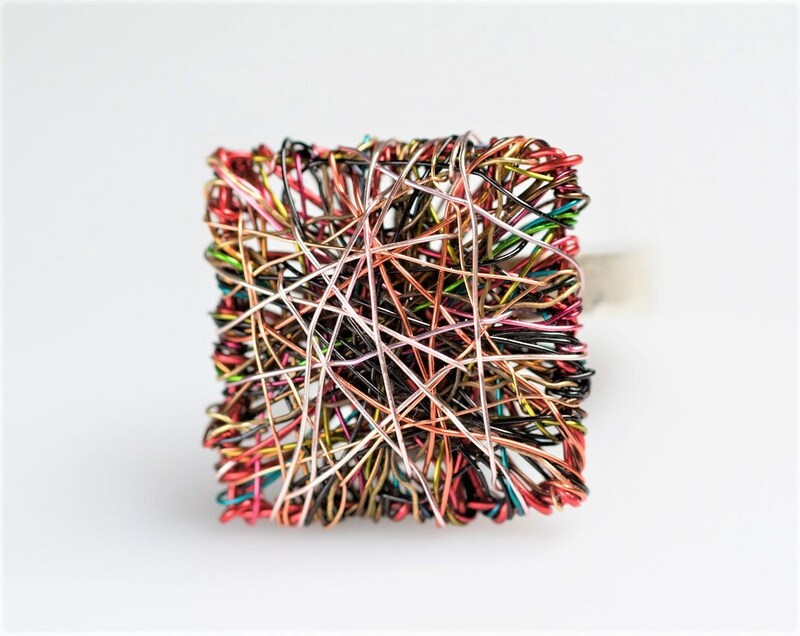 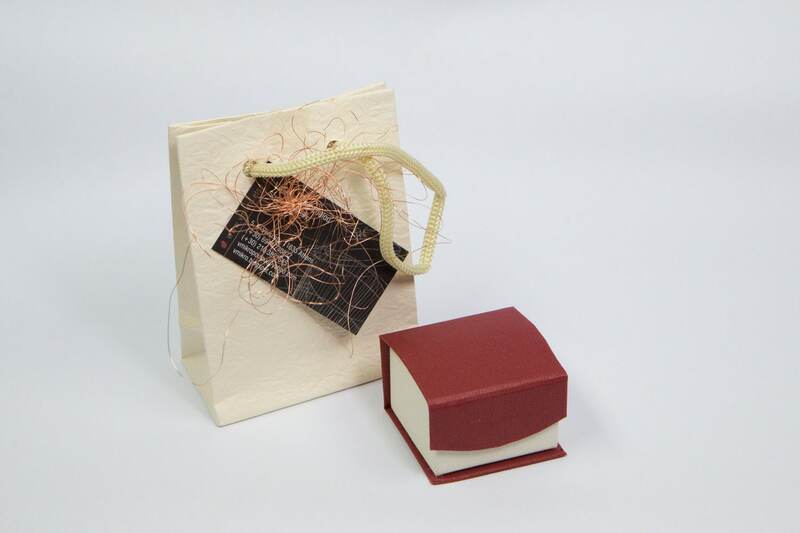 Red square ring made ​​of colored copper wire and solid silver. 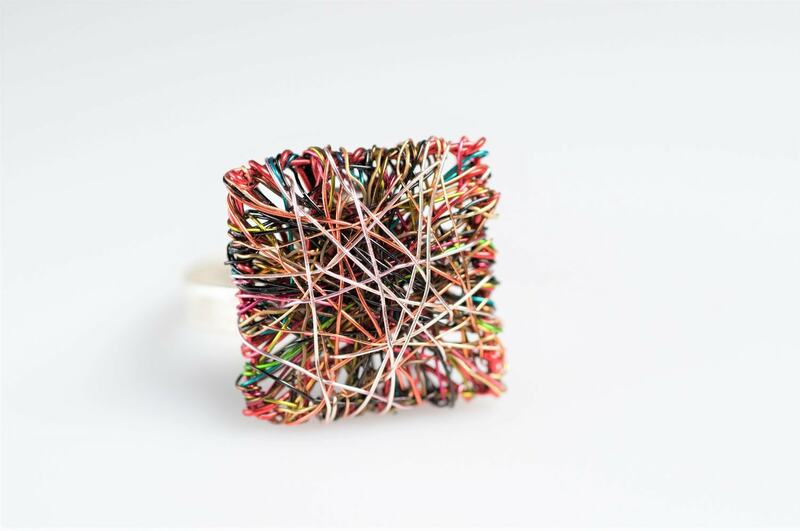 The overall size of the geometric ring is 2cm (0.79in). 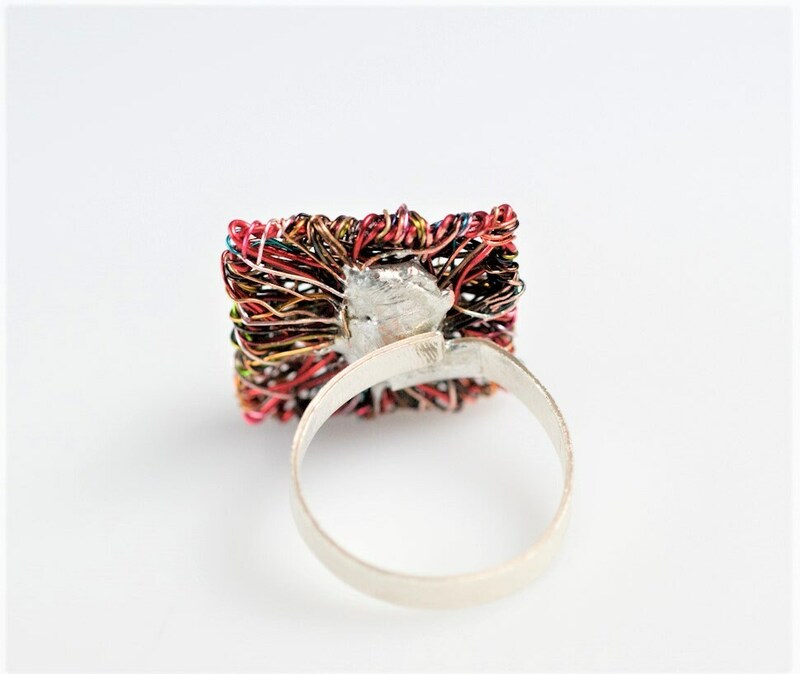 Adjustable to all finger sizes.